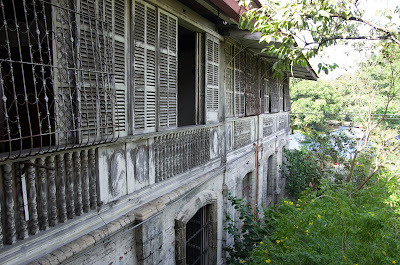 As it turned out, Balay ni Tana Dicang was the only one that stood out, presumably because it is the most well-preserved ancestral house we've seen in the region. 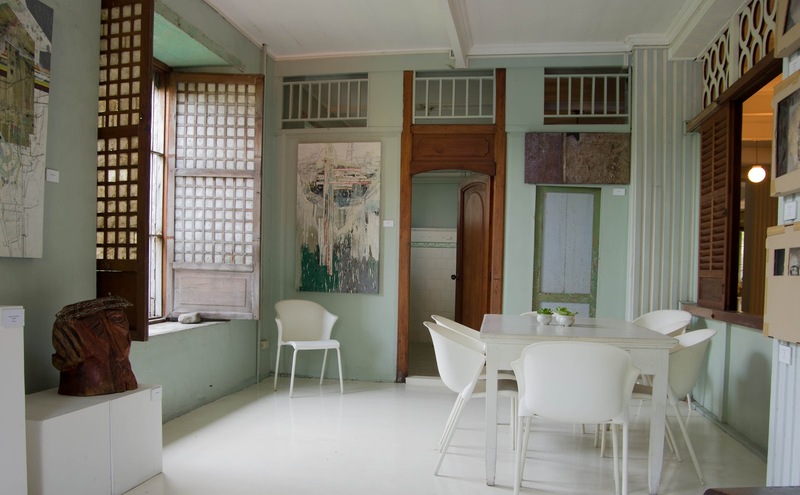 Situated on a 6000 sqm. 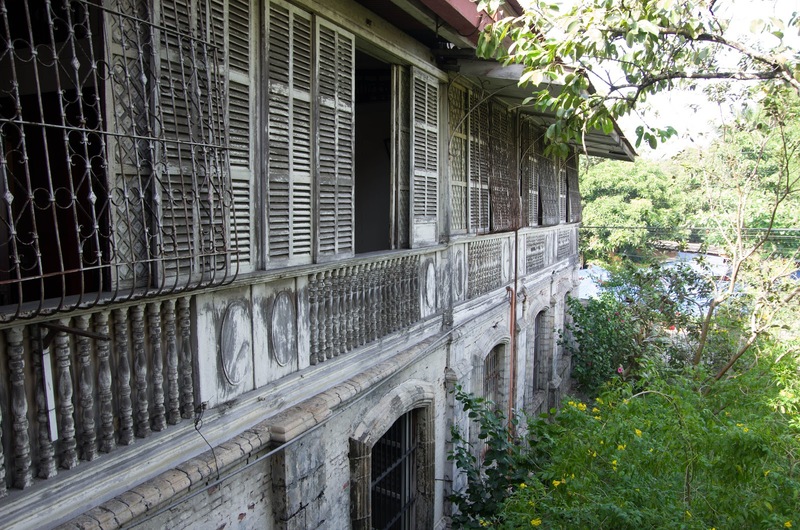 property along Rizal St. in Talisay City, the classical bahay-na-bato house will take one to a journey back in time. 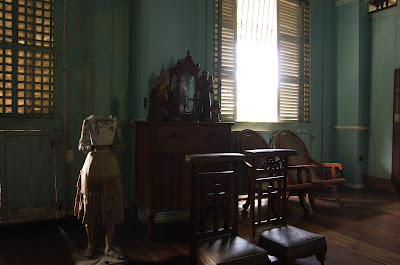 widowed and she took over her late husband's position, thus the name Capitana Dicang. She held this position for 40 years until she died during the war in 1942. Based from the guide, Ricky, Tana Dicang was a hands-on woman who successfully managed the family businesses (haciendas, cigar manufacturing) as well as the lives of her children. 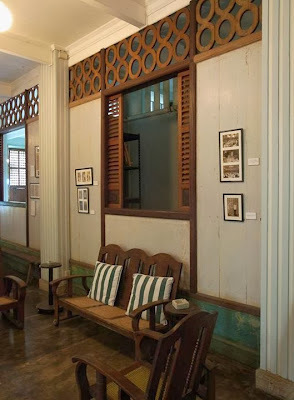 We even had the impression that Tana Dicang, during her time, was a control freak. She ensured that most of her children marry those within their social circle and assigned one of them to remain single and take care of her. But if you base it on how her 16 children fared in life, Tana Dicang did more than enough to ensure that her clan lived a good, even lavish, life ahead. 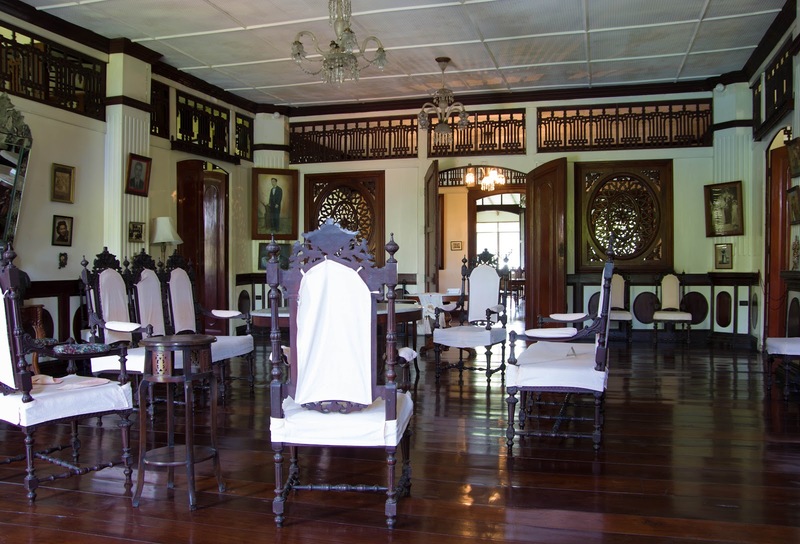 Her descendants include Remedios Lizares, wife of Manila Mayor and Quezon Province Governor Leon Guinto. 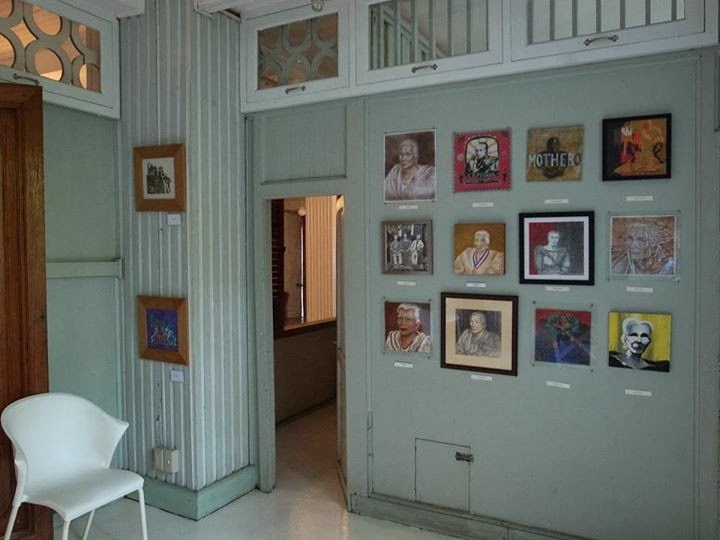 Remedios Circle in Malate was named after her. 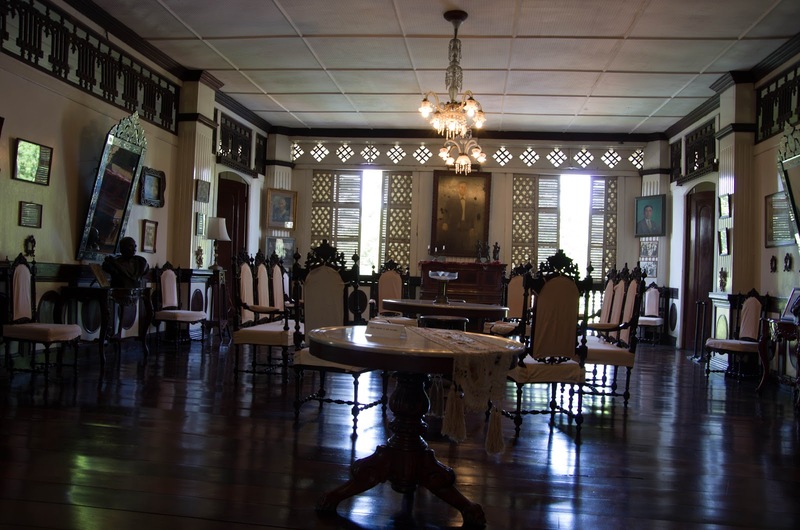 The expenses of maintaining the house is nonetheless funded by a percentage from the income of her haciendas, as stated in her will. 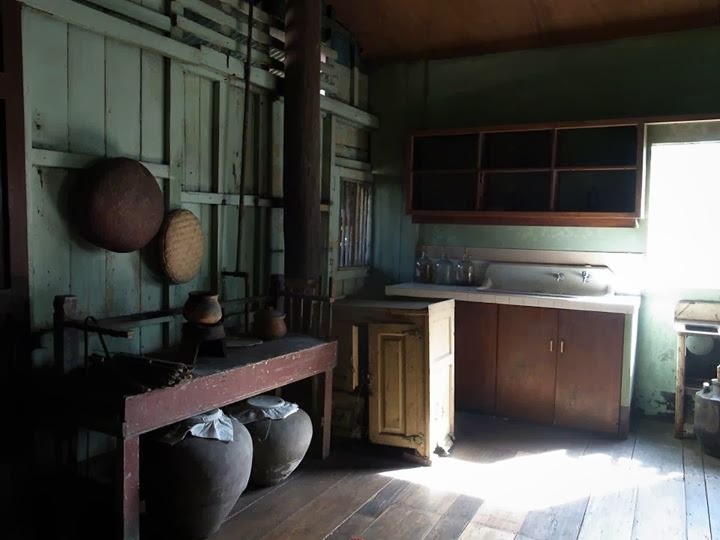 You have got to give it to Tana Dicang for thinking of everyone's future, including the house. 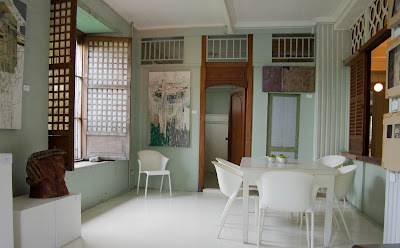 There is an unmistakable feeling of power once you enter Tana Dicang's house. 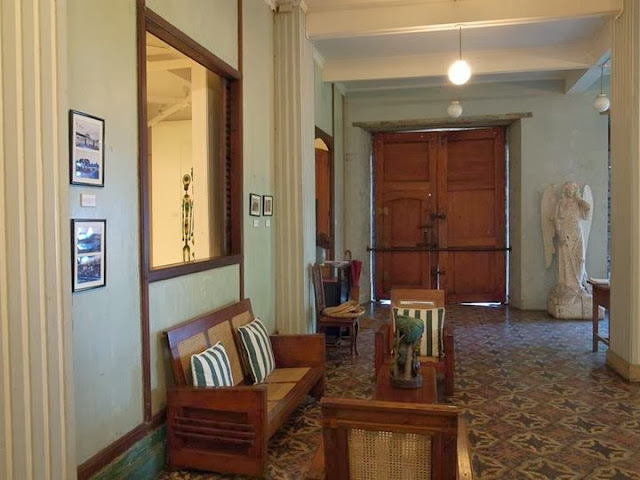 A photo with Manuel L. Quezon seated beside Tana Dicang is hung on the wall in front of the grand staircase. 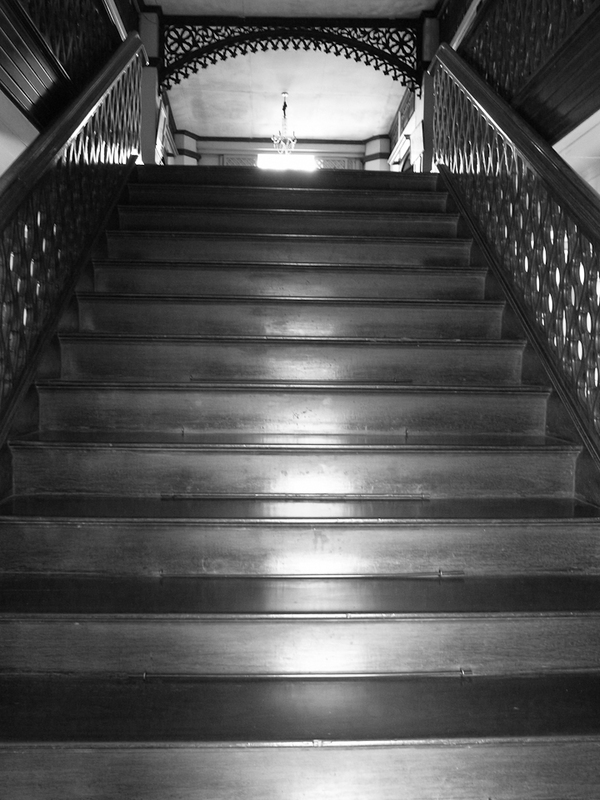 We went up to the second floor and found out that Tana had a bedroom built for him. 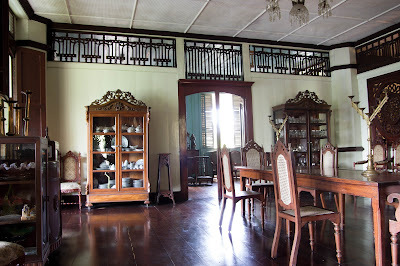 Every single detail of the house, even the room partitions, had a significant meaning to Tana. She also had peepholes built on the wooden floor so she could check on the workers downstairs. The first floor used to be the bedrooms of the male members of the family but it is now aptly turned into an art gallery. The whole house is in perfect condition, the silvers and porcelains gleaming and stored in a glass cabinet, the wooden furnitures shiny, and the floor bright. Tana Dicang's descendants have indeed kept the memory of the woman and the glorious era alive in the confines of the house. 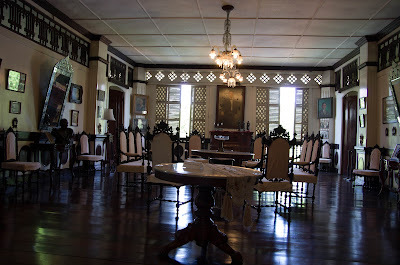 For more information, visit this blog for an account of the life of the Lizares' of Talisay. 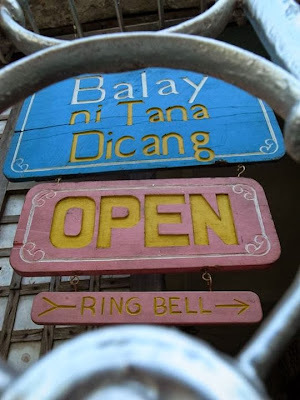 Balay ni Tana Dicang is located in 36 Rizal St., Talisay City, Negros Occidental. 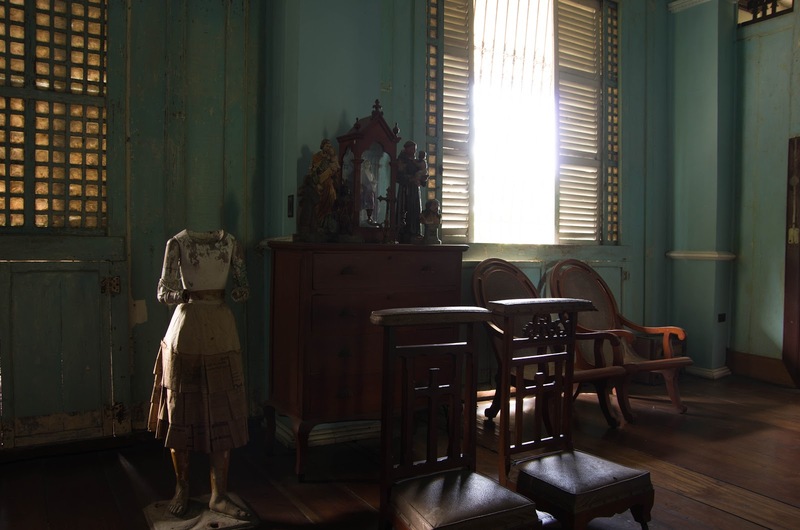 The museum is open from 10AM-5PM, but if you want to hear the intriguing tales of the house, schedule your visit from 10:30AM-3PM for the guided tours.